project management education | event expertise | continuing education | sea to sky – Sea to Sky Meeting and Association Management Inc.
As a Planner you are a Project Manager on each event (conference/meeting/special event/festival, etc.) you organize. To successfully manage and execute your event you require the knowledge to capably oversee many different aspects of the event, including your suppliers. You do not have to be an expert in every aspect and field involved with the event – that is what your suppliers are there for, however you do need to have enough insight and working knowledge to understand what to ask for, what is being proposed, and to question when you feel the requirements are not being understood or met. Participating in the many different forms of industry education can effectively and quickly build your knowledge and skill set to assist you in understanding the various fields you will be involved with. Education does not necessarily have to be time consuming. A commitment to constantly gain knowledge and acquire new skills can be gained in many ways. For example, subscribe to only two of your favourite industry magazines and read them cover to cover on a monthly basis. You might want to tear out “how to” articles or articles that provide valuable lessons that you can refer to when needed. Be sure to file them by subject so when you are working on a related topic you can reference them easily. If you prefer not to read magazines and manage the articles, you can use the internet as an education source. Another education avenue not requiring a major commitment is attending local industry conferences. If the conference does not address the subjects you are interested in or need in order to develop personally and professionally, volunteer to be part of the program committee so you can provide input on the topics and speakers selected. 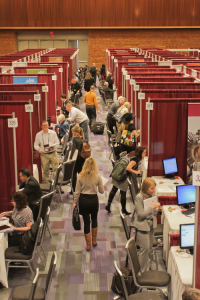 If hands-on participation is not an option then be sure to answer those surveys soliciting your suggestions on what topics to include in a conference program. If you are able to make a bigger commitment to education consider certification and become a Certified Meeting Professional (CMP), Certified Meeting Manager (CMM) or a Certified Special Events Professional (CSEP) or Certified Association Executive (CAE). Learn more about these certifications. Lastly, you may find that in order to build your knowledge and skills further you need to look to education opportunities outside the industry. Turn to colleges and universities that offer education on multiple topics such as financial and business management courses, and over time work towards a certificate, diploma or a degree. Go for it! Nothing ventured, nothing gained.